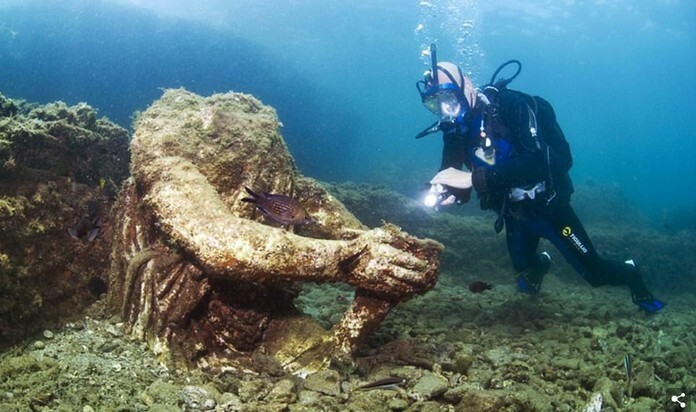 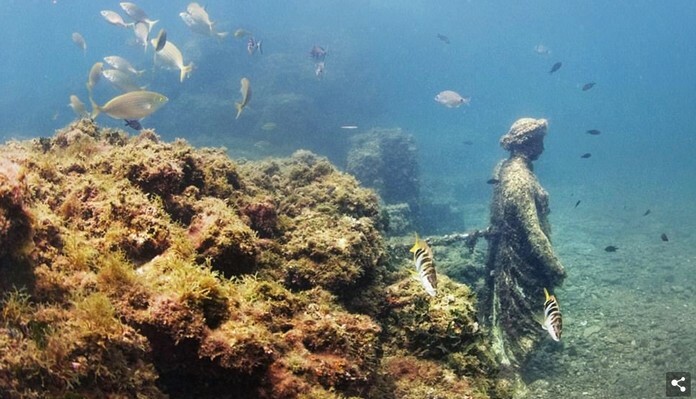 The sunken City of the Caesars, lost for 1,700 years beneath waves off of Italy’s west coast, has been revealed in stunning new photographs… Baiae was the Las Vegas for the super-rich of the 1st Century’s ancient Rome, covered in sprawling mansions and synonymous with luxury and wickedness. 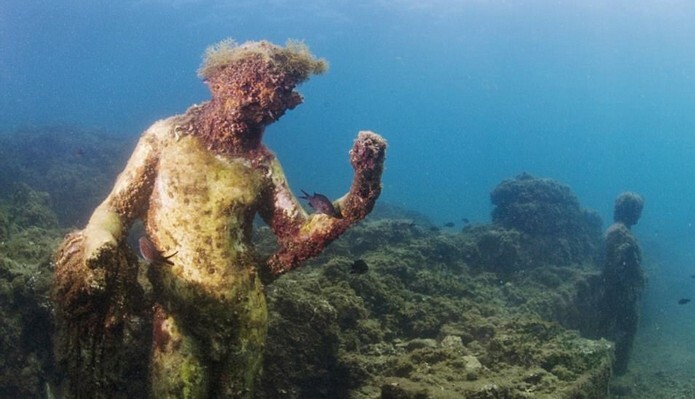 Parts of the city are still in-tact 1,700 years later. 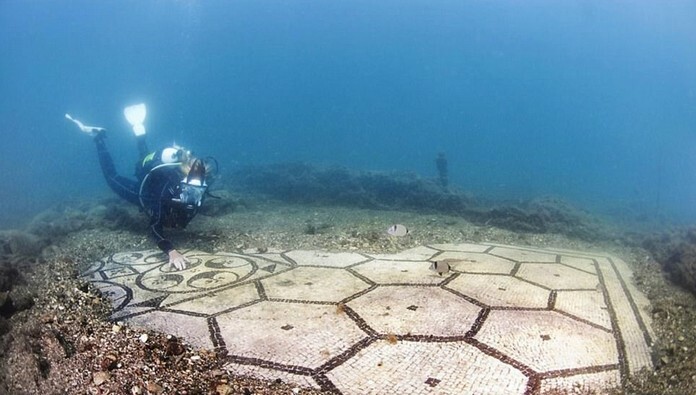 Pictured above, a diver shows off a tiled floor that was discovered in a search of the city.